Hey there readers, friends, internet AIs. 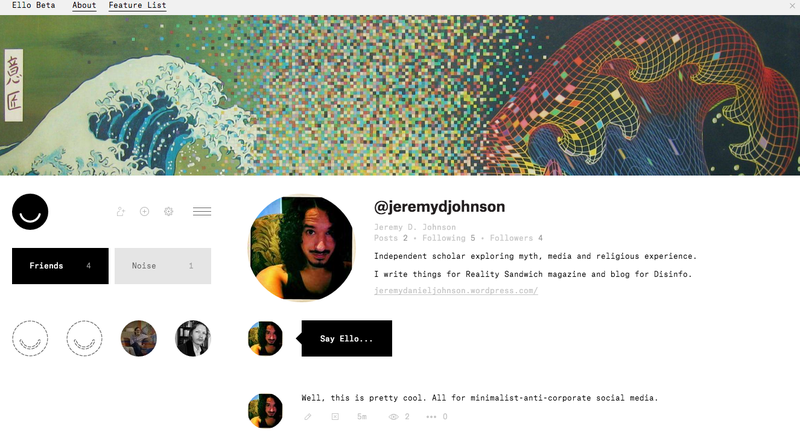 Find me on ELLO, where everything is free (no ads) and the points don’t matter. Finally, a line of flight from Facebook, a space where my information stays mine. I’m all for super-minimalist-anti-corporate social media. If you need a code, leave a message here. Would appreciate an invite! Thanks. Would love an invite if you have any left!